My family and I are on the proverbial American road trip out West – Mt. Rushmore, ranches, vast open spaces of deer, wind and sage brush. Believe it or not, even out here, I'm thinking of you. Two things this family likes when traveling are good meals and lots of homemade treats. Thanks to Yelp and Trip Advisor, we have sampled every cupcake, kolache, and ice-cream flavor in the west. The 4th of July (independence day in the USA) found us in Casper, WY and none of our Yelped options were open. We called place after place, and all were closed (insert frowny face). We took matters into our own old-fashioned hands by driving into downtown Casper to seek our culinary fortune. 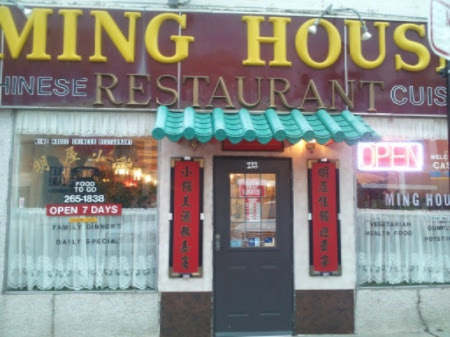 We stumbled into Ming House Chinese restaurant which did not appear in any of our internet searches. Inside, we were greeted by the sweetest old man on the planet who spent two hours personally cooking our food while we played Uno. It was a magical evening. This experience got me thinking about vision and the way the structures around you (and me) conspire to limit the possibilities you think you have. Internet searches have you believe that the options listed are the only or the best choices. Structures at the office lead you to believe that solutions must fit into a limited range of possibilities. Perceived circumstances in your life and career can keep you in a holding pattern of sameness. Be aware. Start to notice when your possibilities are being determined for you by the limitations of technology, someone else's perspective, or perceived constraints. Open your vision. Look for the options that are outside those structures. You might need to develop new ways of seeing what's possible to even start to see expanded possibilities. Head off the beaten path. Metaphorically drive into downtown to find the restaurants that aren't on Yelp. Try the thing that no one is seeing. Test new options and see what happens. And you know that I love to hear from you so when you find that expanded possibility, I'd love to hear about it.